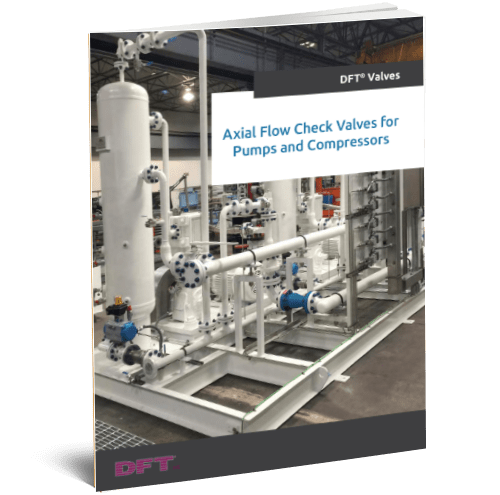 Typically used to restrict fluid flow to a single direction, check valves play an integral role in all types of liquid networks. 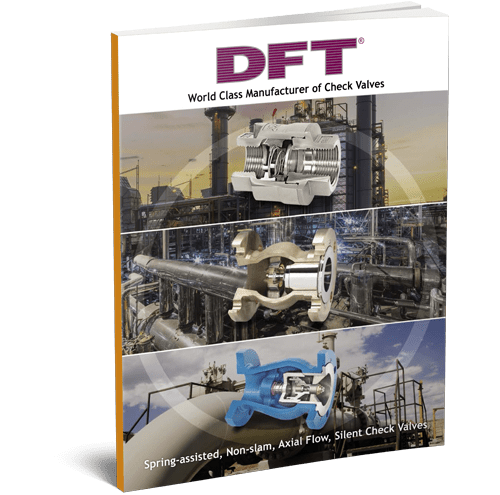 At DFT® Inc., we’ve been manufacturing top-quality check valves and control valves since 1943. 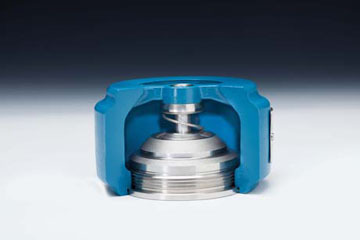 The DFT® Model WLC® Wafer Style Check Valve, a spring-assisted, lightweight model, offers a number of unique advantages over traditional valves. The dual/center-guided design improves stability, while the disc and seat arrangement ensure a tight shutoff, eliminating the risk of reverse leakage and, therefore, preventing potentially dangerous water hammer. In fact, these valves are ideal for use in systems with a high risk of water hammer. 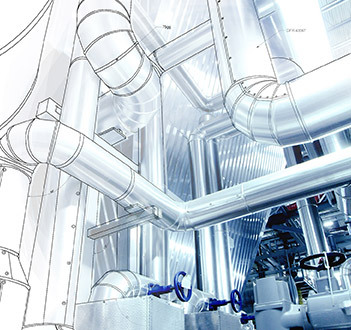 Offering consistent, reliable operation and ensuring low maintenance costs, the WLC® product line can be used for a wide range of pressure/temperature combinations, making these valves ideal for applications involving liquids, gases, and steam. 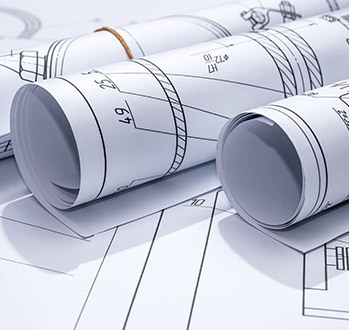 One of our clients approached us for assistance with an application involving raw water intake; the valves they were using were causing water hammer, and they needed an alternative solution to ensure optimal operational efficiency and reduce the risk of costly maintenance needs and downtime. We replaced the valves with our WLC® models and later assessed the facility during a routine maintenance operation. The water hammer had been completely eliminated. Simply by switching to these check valves, the client was able to fix an issue they had been dealing with for years, significantly reducing the risk of mechanical failure and ensuring optimal cost efficiency. The WLC® check valves are available in a variety of ASME classes, and can be utilized in pipes of different line sizes. These valves can also be manufactured with a range of different materials for various types of applications. DFT®’s WLC® models meet stringent industrial standards, such as MSS-SP 61(for seat leakage) and MSS 126 and API 594 (for face-to-face dimensions). 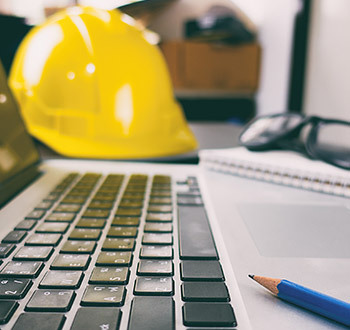 Versatile, reliable, and lightweight, the WLC® line of check valves is specifically designed to reduce the risk of water hammer and its various related issues. 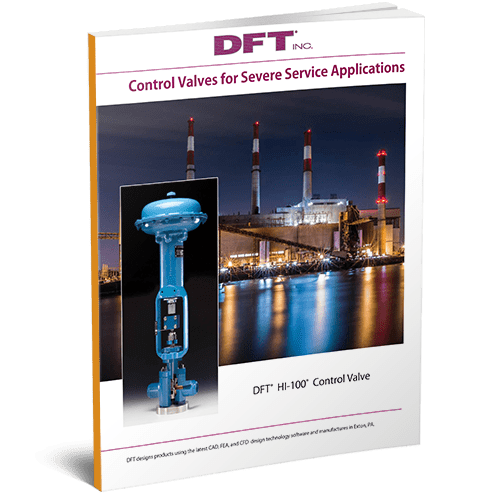 Allowing for low maintenance requirements and consistent service, these valves available at DFT® serve as ideal solutions for a huge range of industries and applications. 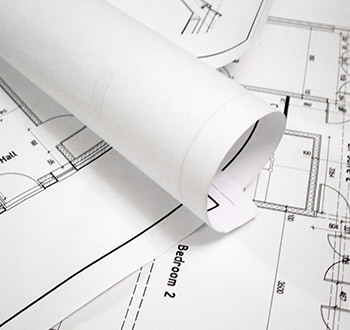 To learn more about these unique valves, download our WLC® cut sheet today.